This album is dedicated to Alexander Leonidovich Kaidanovsky – great Russian actor, director and screenwriter, generally best known for his work in Andrei Tarkovsky's films. Kaidanovsky was an extraordinary man of amazing intelligence and erudition and had the widest variety of interests. He had a professional knowledge of world literature and classical music and also was a good painter, wrote poems and songs which he performed accompanying himself on a guitar. The highest point in his career came via co-operation with the world known director Andrei Tarkovsky who gave him the lead role in a 1979 movie Stalker. Kaidanovsky attended Tarkovsky's writing seminar and under his influence wrote and directed Prostaya Smert (A Simple Death) in 1985 - an adaptation of one of Leo Tolstoy's stories. 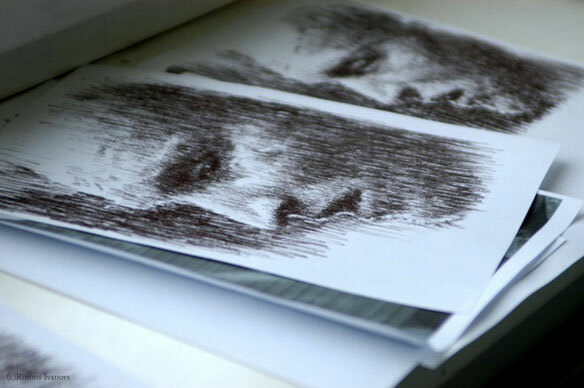 This film received an award at the Malaga film festival in Spain. Kaidanovsky's starring role in a 1993 Spanish movie The Devil's Breath (El aliento del Diablo) and in a 1994 Hungarian film Magic Hunter (Büvös vadász) made him an international celebrity and got him the invitation to be a judge of the 1994 Cannes Film Festival. In December of 1995 Alexander Kaidanovsky died. 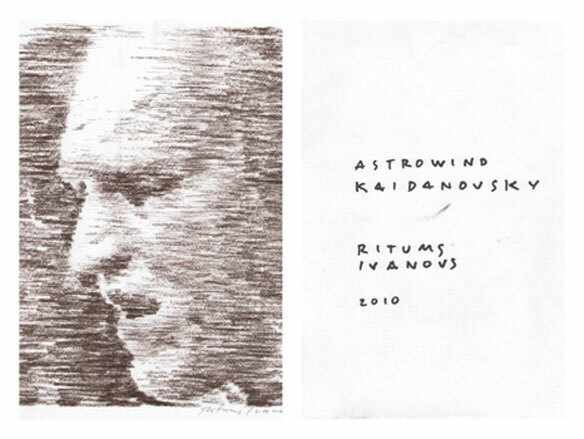 All compositions in Astrowind`s Kaidanovsky album were composed by Kirils Lomunovs a.k.a. Kriipis Tulo together with Maksims Borisovs in Tokctoka Studio, Riga, Latvia under the influence of the unique legacy of A. Kaidanovsky`s artworks. Album artwork kindly created by Ritums Ivanovs - a Sotheby's-sold Latvian painter who in his works uses precise hyperrealist depiction of reality and bright polychromatism typical of Op Art. 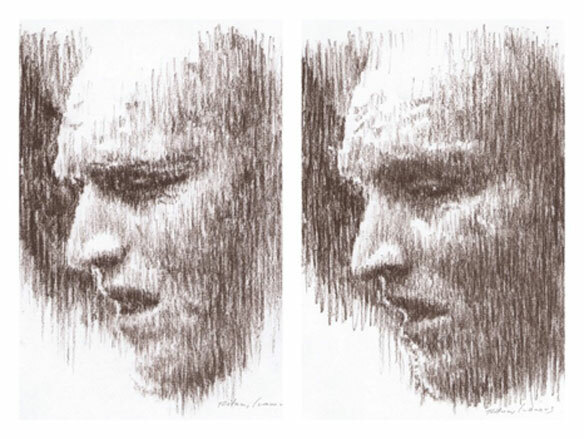 Working in his self-invented linear technique, he paints portraits and nudes on especially large-size canvases. An imaginary soundtrack to Kaidanovsky’s short film called The Guest – a mystical drama based on The Gospel According to Mark, a short story by Jorge Luis Borges. This track echoes the mood of Mirages – another track which in its turn refers mood-wise to Tarkovsky’s Stalker. This track is an intro to the album. A track which generates memories and mirages – longing for a hot summer, visions of a deserted train station with broken windows looking like empty eye-sockets, Stalker’s fictional scenery. This is an imaginary space where the hands of a big station clock stand still and the numbers have been worn away just like the time itself, where wild grasses grow among the old and cracked railway sleepers. At The Station Where Trains Never Stop the imagination is waiting for a ghost train which may sometime rattle its invisible wheels on the loose rusty rails heading nowhere. Mirages is a musical revival of a moment from Stalker where the main character, the Writer and the Scientist are standing near the Room (where wishes fulfill) and the Stalker recites a poem written by his mentor who has shown him the way to the Zone. This track is immersing one into the anxiety of deeply worrisome ghostly atmospheric sounds of pads of Richard Wright's synthesizer. An imaginary continuation of Pink Floyd’s melodic theme of Shine On You Crazy Diamond is carefully woven into the track. A listener who will dedicate their undivided attention to this track and will sincerely immerse into the atmosphere of sound for a period of time will hear the rattling of the wheels of the ghost train arriving from the previous station (The Station Where Trains Never Stop). In the meantime the heroes will continue their way to the Room of Wish Fulfillment guided by the Stalker. Stalker`s Dreams is an alternative soundtrack to Stalker – an adaptation of Strugatsky brothers’ Roadside Picnic – Andrei Tarkovsky’s genius cine-symphony about the prohibited Zone and the Stalker leading the people who have lost their hope and illusions. The Zone is a place where there is a Room where one’s most cherished wishes are fulfilled. There are two people who want to get inside the Room – a popular writer and a well-respected Professor. Each of them has his own reasons for getting inside the Room which he does not want to discuss. They are guided by the Stalker – who may be a madman or an apostle of a new religion. An alternative soundtrack to Kaidanovsky’s The Ascent to Eckhart – a film which was never shot and which claimed the author’s health and life. “We are beginning to work on a film after my screenplay entitled The Ascent to Eckhart. Something philosophical? No, it’s more between poetry, philosophy, grotesque and some horrible things”, Kaidanovsky said about his new project. The film was doomed to stay “in between” – between illusions and the harsh reality of the ‘90s. Kaidanovsky took life very passionately and cared deeply about his work – this is why when the film did not get the funding it had been promised, Kaidanovsky suffered from a second heart attack. An alternative soundtrack to Kaidanovsky’s short film The Garden – his term project for his VGIK (Russian State University of Cinematography) cinema director courses. The Garden is an adaptation of Jorge Luis Borges’ story The Garden of Forking Paths. The film was shot in Kaidanovsky’s room in a communal flat on Vorovsky Street in Moscow – a unique space with a molded ceiling and high black walls. The Garden is a mystifying cinematic riddle whose visual sequence, although monochromatic, can have an influence on one’s subconscious. An alternative soundtrack to Kaidanovsky’s A Simple Death which was his diploma project. The film received an award at the Malaga film festival. A Simple Death is a film adaptation of Leo Tolstoy’s tantalizing novel The Death of Ivan Ilyich which, as Kaidanovsky personally acknowledged, had helped him get rid of the fear of death by accepting its inevitability. This story about dying featured Leo Tolstoy’s voice – the phrase “Nelzya tak zhit!” (one should not live like that) sounding from an old record. Standing at the Threshold is also a return to the movie Stalker and Kaidanovsky’s greatest and most significant role. Standing at the Threshold is the final chord of the album whose main idea is to honor the memory of a wonderful and sophisticated human being – the artist Alexander Kaidanovsky – and thus honor all artists who have sacrificed their lives for art.